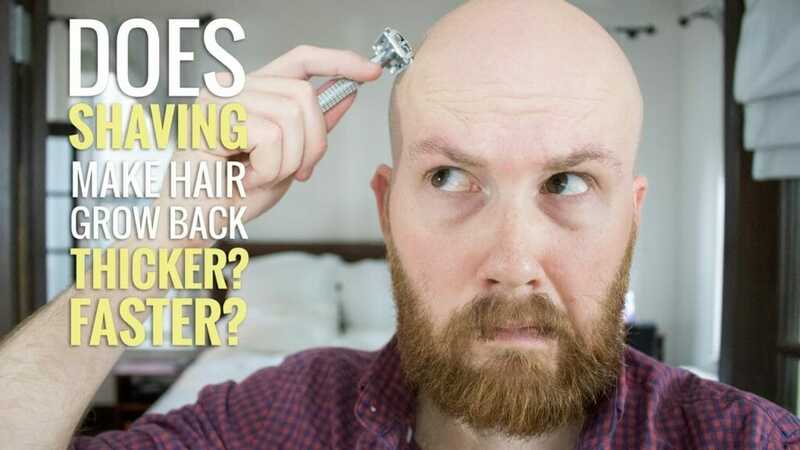 Does shaving make hair grow back thicker? Hair Cut Stimulate Growth? Does shaving make hair grow back thicker? Are you a guy that keeps a fully-grown beard on your face at all times? Or do you shave your beard on a daily basis? Either way, you’ve most likely heard people say that cutting your beard can lead to it regrowing stronger, thicker and faster. Now if you’re reading this, it probably means that you want to find out how legitimate this statement is, for one reason or another. Some men have hope that it would be accurate so that they can fully grow their patchy beard. And thus they would shave from time to time hoping that it would show an improvement. There are also those who prefer not to keep their facial hair and have the habit of shaving their chin almost daily. These guys can be worried to hear about this, as it would mean that the job they have to do would only get harder to accomplish. So they would think that it would be better for them to shave just two or three times a week. So, now your just wondering what do the experts think? You’re asking yourself if this has any basis to it or if it’s just a big myth. The consolidated statements of some hair follicle scientists give a definite answer: Shaving does not stimulate hair growth. It’s all just a big myth according to the experts. But the fact that many people believe it’s real is not hard to understand. When a beard is shaved, and before it can grow to a considerable length, the hair will initially feel thicker. But giving it time to grow more, it will start feeling thin and soft again. Saying that the hair feels thicker when it starts to grow after a shave is not a false statement. But it doesn’t exactly mean what you think. You see because the hair is so short. The part of the hair that you feel growing is the shaft, which is naturally thicker compared to other parts of the hair. But that does not last for long. The more time passes,the more the base will be worn down, eventually leaving a thin tip. So if you’re the kind of guy that would take a straight razor, for instance, straight to the chin and aim at a close shave, then you can definitely expect your hair to feel thicker as it starts to grow back. But if that’s not what you want to end up with, then you might want to leave some distance and not go too close when you’re shaving. Alright, but would it grow darker? Another famous debate in the shaving community has to do with the following question: Would the hair grow back darker after shaving? Of course, there are always two sides to the matter. Some believe it to be just another myth that was created y fathers to stop their kinds from shaving from an early age. On the other hand, there are those who believe in the opposite. Some say that there’s a group supporting this claim because hair will gradually become thicker for young teenagers who start shaving. And that is what gives the illusion of a darker beard. In reality, this is just linked to puberty and the fluctuations of hormones that a teenager goes through. Once adolescence is over, you don’t notice these things anymore. Maybe you’re wondering how long it will take you to grow your beard, or you simply just want to find a way to remove hair and keep from growing back for an extended period of time. Either way, we’ve got some clear choices for you to try. Some can be a bit uncomfortable while others are entirely pain-free. Getting a hair removal for the long term really boils down to a couple of well-known choices. You’ve got the electrolysis and the laser treatment. Electrolysis is all about inserting a probe or a needle under the skin. It’s all just to destroy the follicle of the hair. On the other hand, laser treatment is relatively more straightforward. Accomplishing the same thing but in a different manner. The laser treatment destroys the hair at the follicle by utilizing a light pulse. It’s super effective,but it can pack a sting with it so be prepared for that. For whatever reason, there are still some men out there who prefer waxing instead of other ways of taking care of their body hair. And besides being very painful, it can also be expensive and time-consuming. You may have wondered at a certain point whether waxing your beard will make it grow faster or not. And you won’t be the only one to think,so as many people who are losing their hair have also thought about it. Shaving any part of your body will not make the hair grow back any thicker, as stated by Amy McMichael from the Department of Dermatology at Wake Forest Baptist Health. 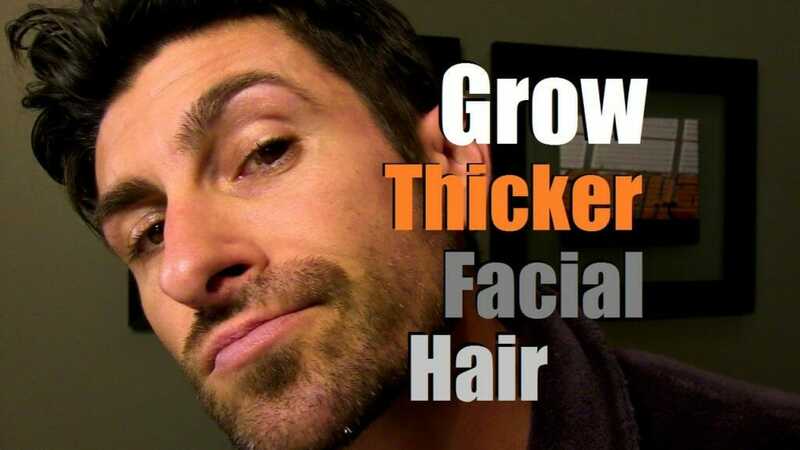 She states that some young teenagers may notice that their facial hair is growing back thicker after shaving, but that actually has nothing to do with it. It’s all because of hormonal fluctuations. It’s known in the scientific community that the rate of hair growth differs from one person to the other. But nothing is linking thicker hair growth to waxing. But it’s not like any of this would just make everyone give up. There are still people out there who shave solely because of the hope that the illusion of the thick stubble gives them. It’s no secret that we are daily exposed to elements that inflict damage to our hair. Not to mention all the hair products that some of us put in their hair which contain some pretty unwanted chemicals. These chemicals can of course simply hurt your hair follicles. But if you were to shave an already damaged head of hair, it will regrow pretty remarkably healthy compared to its previous state as it will regrow free from all the harmful chemicals. But over time and if you don’t change your old habits of using harmful products, the hair will return slowly to its damaged state. Is hair growth enhanced by trimming? This belief, similarly to all the ones mentioned above, has no scientific basis. It will not make hair grow faster because hair growth starts at the roots,not the tips. But it’s in no way a bad habit. Trimming your hair gets rid of the damaged ends which leaves you healthier hair strands.